Allard Company Group is a mix of different distribution companies, production sites and development. Within the Nordic countries we work under the Company name of Camp Scandinvia. This Company dates back to the early 1950 and have a strong orthotic influence. In the United States and in England/Ireland we work under the company name of Allard. The company in England/Ireland is not only a distributor on its own market, it is also the manufacturer for Boston Brace Products in Europé. A Short historical presentation about Allard International and Camp Scandinavia. Camp Scandinavia was founded in 1954 in Stockholm as a spin-off from the company Germa. The purpose of Camp Scandinavia was to manufacture orthopedic corsets under license for back problems. Germa had long made cosmetic corsets but came in contact with Camp International, which was founded in 1908 in the United States by Samuel Higby Camp (Hence the name CAMP), and in 1954 wrote a licensing agreement. Germa/Camp Scandinavia was an independent family-owned company, owned by the family Winberg, until 1983 when the company was sold to Licensor Camp International in the United States. During this period, the company moved from Stockholm to Helsingborg. 1983, Bertil Allard come on as CEO of Camp Scandinavia and was so until he bought Camp Scandinavia and the rights to the name Camp in Scandinavia in 1996. As Camp Scandinavia became an independent company we were no longer locked to only be able to sell products on the Scandinavian market, but the company could start to develop products for our self that also could be sold outside of Scandinavia and the first product that was developed was the unique Foot Drop AFO in composite materials which was given the name ToeOFF and has helped 100's of thousands of people to live a more active life. 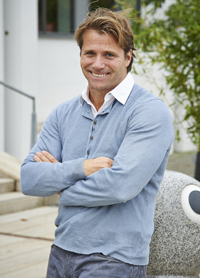 In 1996 Bertil's son Peter began working at Camp and in 2006, Peter become the sole owner of the company. Then as Camp Scandinavia do not own the rights to the brand name "Camp" outside Scandinavia we had to develop a branding umbrella under which we could lay market the unique export products. The brand Allard International was born. We had as a long and strategic decision not to pursue any production sites, but this decision has been reconsidered. Today we conducted our own production such as composite production in Malmö, Sweden, Low Temperature plastics production in Liege, Belgium, Textile production in China and Plastic Corset manufacturing in Ireland. From not having any production that is more than 80% of our sales products produced in its own production and sell our products to over 60 countries. We currently have sales offices and warehouse in Sweden, Norway, Finland, Ireland and the United States.